Get ready for a story that’ll warm your heart. When Pete’s Diner in Claremont, California, was struggling to bring in enough customers to pay the bills, the owners thought they might have to close the place down after more than 30 years of serving the community. Then something amazing happened. 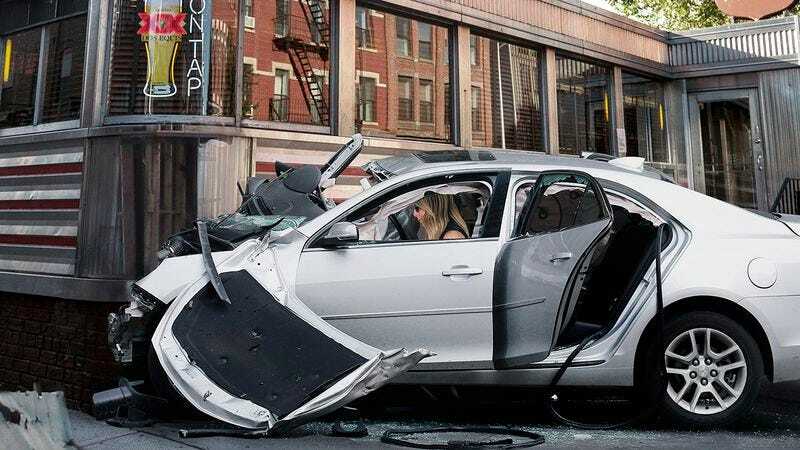 Jennifer Aniston caught wind of their financial struggles and smashed her car into the side of the diner to attract more customers! OMG! Jen! As if we needed another reason to love her. Once the Friends star found out about the diner’s difficult situation from a Facebook post, she didn’t waste any time before coming to its aid. That afternoon, she hopped in her car and got on the freeway, and two hours later she was plowing into the side of the beloved greasy spoon at 65 miles per hour. It didn’t take long for people to start showing up in droves, but by that time Jennifer—a humble hero with no need for the spotlight—had already regained consciousness, thrown her car into reverse, and peeled out of the parking lot with the diner’s radiator still stuck to the hood. And thank god for Jennifer Aniston. What a selfless gesture! Did she have to smash her car into the diner at a speed that, by all accounts, should have resulted in her immediate death? No. But she did. Because she cared. Celebrities, take note! This is what a magnanimous superstar looks like.